Spring is here and sailing classes are open! It won't be long before our fleet is in the water and ready to sail. If you're thinking about taking a sailing class this summer but haven't signed up, do it now! Our classes fill very quickly, and we hate to disappoint anyone who's interested in learning how to sail or improving their sailing skills. If you're new to sailing and not quite sure whether the Sail Chicago program is right for you, Stu Gilfillen, Director of Education at Sail Chicago offers some suggestions on how to choose a sailing school (see article below). Although we're looking forward to another fabulous summer on Lake Michigan,there's still a lot of work that needs to be done to prepare our boats for a summer of safe sailing. As the Sail Chicago website so prominently says, "We run on volunteer power." We're going to need lots of help to get our fleet in the water by the time classes start. If you're looking for ways to fulfill your annual service requirement, if you'd like to learn more about how a sailboat functions, or if you'd just like to meet more people in Sail Chicago, contact Joe Cannon, our Maintenance Coordinator, and he'll make it happen. WHAT SAILING SCHOOL IS RIGHT FOR YOU? Sail Chicago seems to stack up well against the criteria Stu offers! Please note there was a typo in last month's Between the Sheets. Emails regarding volunteering should be directed to 'volunteer@sailchicago.org', not 'volunteer@sailchicago.com'. We are still looking for members to help with preseason preparations and maintenance at the boatyard. Turnout has been good so far, but we can always use more help. We will be at the boatyard every weekend until the boats are in the water. Boat teams also need to be filled, and we have a few spots left. Opportunities will be posted on the organizational chart as requirements are confirmed. As a reminder, Sail Chicago is an all-volunteer organization. First-year members are not expected to complete service time, although they are welcome and encouraged to do so. Second-year members and beyond must sign up for a job to fulfill their service time duties. 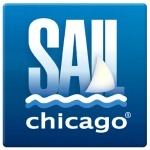 For up-to-date volunteer openings please visit the Sail Chicago Organizational Chart at my.sailchicago.org. You can locate it under Membership/Files/Sail Chicago Organizational Chart. All questions and volunteer requests should be sent to volunteer@sailchicago.org. Maintenance work at the Canal Street Marina has been progressing well, thanks to stalwart members who have endured the cold weather of March. Much of the work that can be done in the cold is finished: we hope that warmer weather will arrive soon so that we can begin washing and painting. We can use many more volunteers once the washing and painting begins. In addition, a number of more technical tasks remain to be done, which provides members with an opportunity to learn more about the construction and functional characteristics of our boats. Weekend maintenance plans (dictated by the weather) are updated regularly in the "Announcements" section on the My Sail Chicago landing page (the first page after logging in). A link to a sign-up sheet is also posted there, once weekend plans are finalized. Tiller Times were up 11% in 2017 with a total of 100 sails for the season. The distribution across months is very similar to that of previous years. Approximately 105 member-students participated in Tiller Times in 2017. 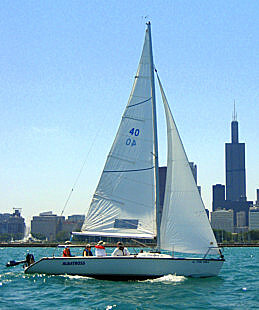 Fourteen Sail Chicago members acted as Tiller Time skippers. Most of them skippered 5 or more Tiller Times, thereby fulfilling their annual service requirements. Barb Tenuta and Tim Rice led the pack, skippering 20 and 18 Tiller Times respectively. 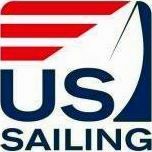 Our thanks to Chris Faris for organizing and administering this program, unique among sailing organizations in the Chicago area. The Sail Chicago Board met by phone conference call on March 8, 2018. An instructor meeting will be held at the Wicker Park Library on April 7. Processes were discussed for opening our season to student registrations. Actions were taken to assure that our members from last year are the first to be notified of open classes. The general public will be notified 48 hours after our members. The Board is adjusting our marketing efforts to focus more on assessing and improving member retention and not simply attracting new members. The next meeting will be held at 7:00 p.m. on March 8 at a location to be determined.